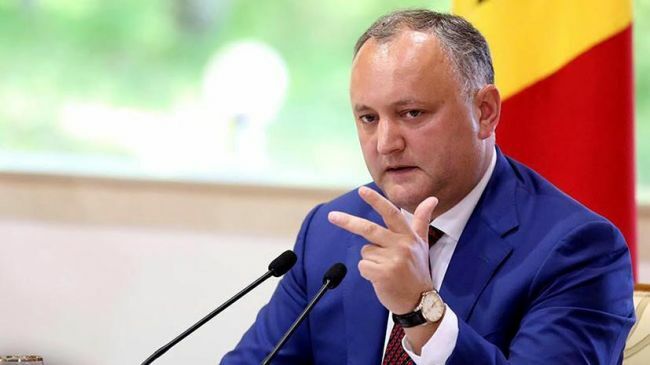 Moldovan President Igor Dodon believes that the draft concept of the Transnistrian conflict settlement proposed by the parliament needs to be improved. “We have seen the draft and believe that it does not correspond with approaches that would secure a compromise and meet Moldova’s interest in the political decision and settlement of the Transnistrian conflict,” the president said. According to Dodon, the presidential administration will submit its version of the re-integration. Its key element is to preserve, strengthen and internationally recognize the permanent neutrality status of Moldova and the right for self-determination in case it loses its statehood. Igor Dodon discussed the conflict settlement at a meeting with Russian Ambassador to Chisinau Farit Mukhametshin. The Moldovan leader stressed that he welcomes any progress in this field. “Our real common task is real results for the people living both in Transnistria and in the right bank (of the Dniester River). A system approach followed by political settlement is important here. The presidential administration has elaborated such draft,” Dodon concluded. EADaily reported earlier that the Moslovan government was ready to publish its proposals on solving the Moldovan-Transnistrian conflict. The Cabinet of Ministers plans to grant an autonomy status to Transnistria, but with more limited powers. The document also calls it necessary to withdraw Russian troops from the Transnistrian region and replacing the peacekeepers with an international civil mission. Despite essential political discrepancies, the president, parliament and government are unanimous on one issue – the territorial integrity of the republic within internationally recognized borders. According to Igor Dodon, the status of the Transnistrian region (a subject in a federation or an autonomous unit) is determining in this case.